With apologies to singer Robert Palmer, you might as well face it, you’re addicted to technology. We all love our various smart devices, and it seems that we can’t live without them, but what is causing this addiction? 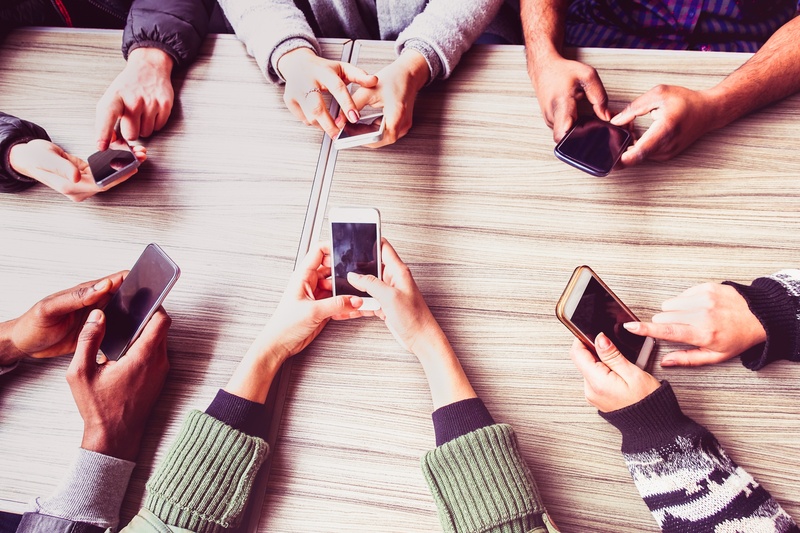 An article on CNN’swebsite titled, “How to resist technology addiction” equates digital products like social media websites, video games, and mobile apps to more traditional addictions like food, alcohol, and smoking. In fact, these digital products use a technique more closely associated with gambling in that they are engineered to keep you hooked. Whether it’s unlocking an achievement in a game, getting more likes on a social media platform, or hearing the constant ping of a new email via push notifications, we, as users, feel like we’ve accomplished something. This is not merely coincidence, as engineers have said it’s their job to make users believe that a product or software is indispensable. A common saying is that if something is free, you’re not the customer, you’re the product. That’s because the free technology you’re using is collecting information about its users and then selling that data. The more a company can get its users to use their product, the more data they can collect and then sell. Is this manipulation by the technology companies? That remains to be seen, but here are some eye-opening statistics from the article. Fifty percent of teens feel they are addicted to their mobile devices, nearly 70 percent of parents and nearly 80 percent of teens check their devices hourly, and more than 70 percent of teens feel the need to immediately respond to texts and other messages. Now that we’ve identified the problem, here are some ways to break the technology addiction. Typically, a product or software will need the user to manually go into their settings and turn off these habit-forming triggers. The easy ones to turn off are autoplay, which continues to play a video even after it’s over, and push notifications, which notify a user when something is new or that they should do something. The not-so-easy ones involve the user consciously needing to pause and think about what they’re doing. For example, when a random “reward” is used, such as when someone likes a post, sends a friend request, or updates his or her status, that does not mean that a user needs to respond to that impulse immediately. Likewise, when an app or game rewards a user the more they play, or entices a user with an in-app purchase, the user should pause and think if they really need to buy that, or if they’ve played enough and should put down the game for a day or two. Anyone who has suffered through an addiction knows how hard it is to break. He or she should also know just how destructive an addiction should be. Which is why, with technology, it’s so important to remember it’s OK to use and enjoy it, just don’t get carried away.